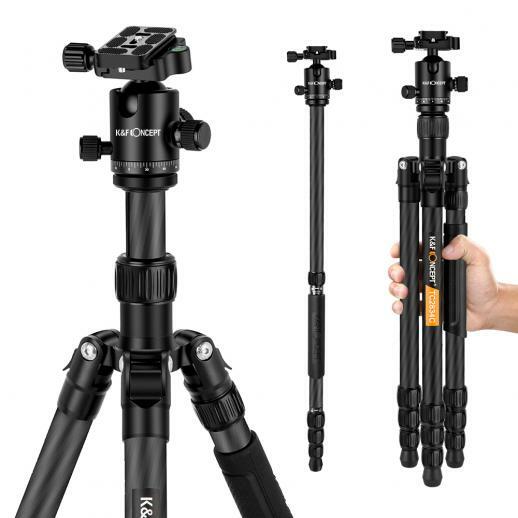 Buy K&F Concept tc2834c carbon tripod monopod kit for dslr camera ball head 4 sections online, worldwide free shipping and 30 days return guarantee. 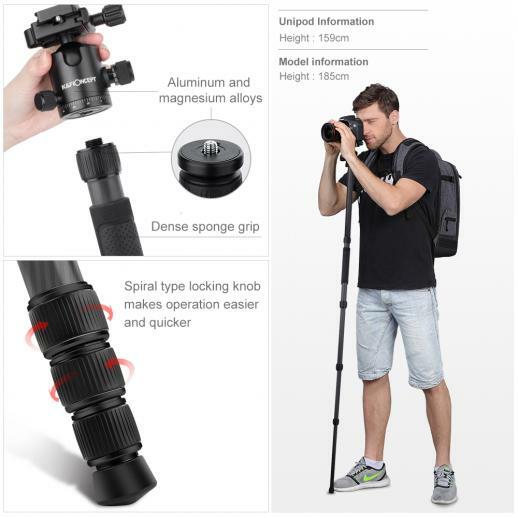 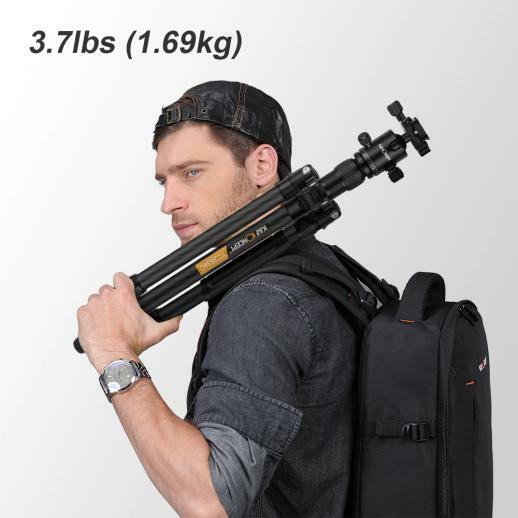 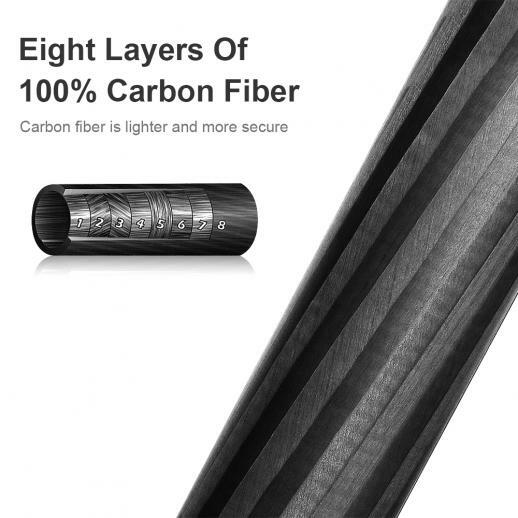 • Made of 8X carbon fiber, can be folded 180°, also contains detachable monopod. 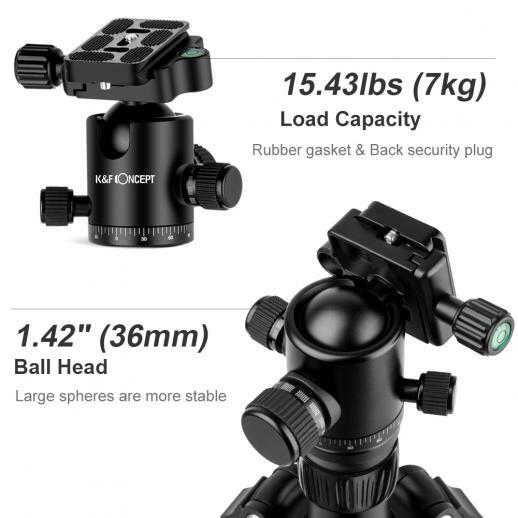 • Die-casting metal ball head can be rotated 360°, and enlarge the view area through panoramic shoot. 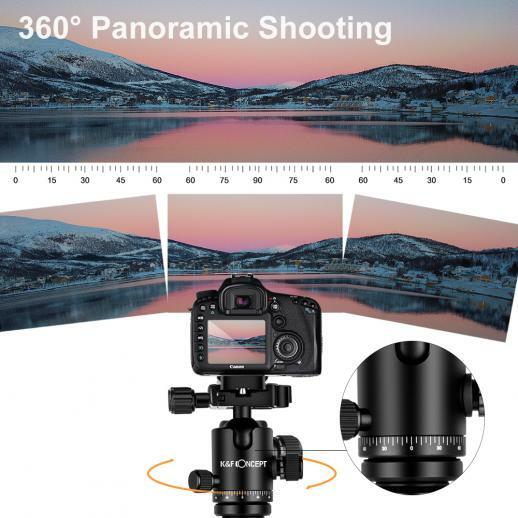 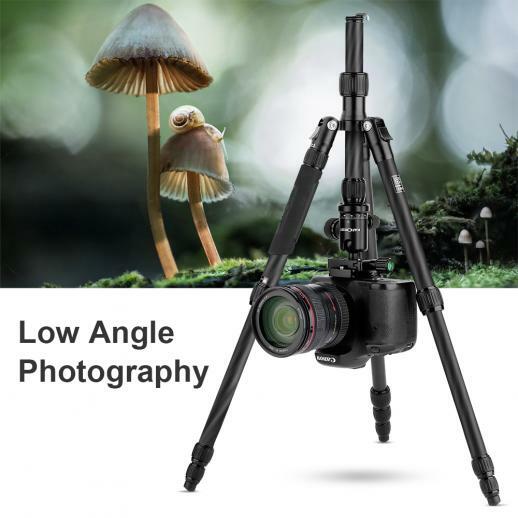 • Lowest angle shooting, macro shooting, and special photography can be achieved through inverted central axis. 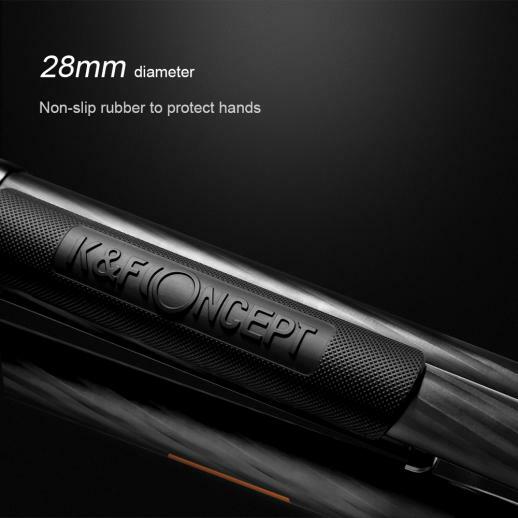 • Metal knob-type tube locking system, durable metal buckle, more durable, better locking force, easy to operate. 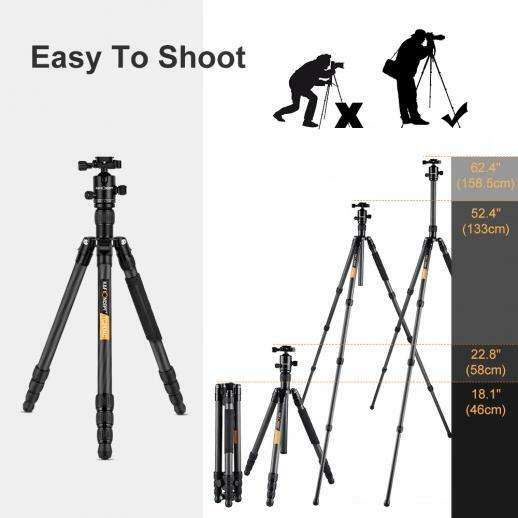 • Automatic rebound hook, hang up the physical hook automatically pull out to improve the stability of the tripod, remove the physical automatic bounce back.